Gil Broza helps organizations, teams and individuals implement high-performance Agile principles and practices that work for them. His coaching and training clients – over 1,300 professionals in 40 companies – have delighted their customers, shipped working software on time, increased their productivity and decimated their software defects. Beyond teaching, Gil helps people overcome limiting habits, fears of change, blind spots and outdated beliefs, and reach higher levels of performance, confidence and accomplishment. Gil is the author of The Agile Mind-Set and The Human Side of Agile: How to Help Your Team Deliver. Gil has a M.Sc. in Computational Linguistics and a B.Sc. in Computer Science and Mathematics from the Hebrew University of Jerusalem, Israel. He is a certified NLP Master Practitioner and has studied organizational behavior and development extensively. He has written several practical papers for the Cutter IT Journal, other trade magazines, and for conferences, winning the Best Practical Paper award at XP/Agile Universe 2004. Gil co-produced the Agile Coaching stage for the “Agile 2010” and “Agile 2009” conferences. Gil lives in Toronto, Canada. 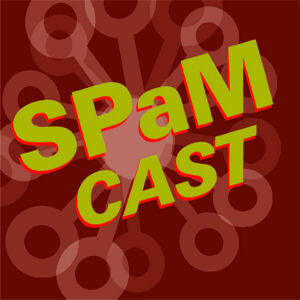 Gil was last interviewed on SPaMCAST 210. We discussed his first book The Human Side of Agile. Remember that the Re-Read Saturday of The Mythical Man-Month is in full swing. This week we tackle the essay titled “Aristocracy, Democracy and System Design”! I will be speaking on the impact of cognitive biases on teams! Let me know if you are attending! If you are still deciding on attending let me know because I have a discount code! The next Software Process and Measurement Cast features three columns. The first is our essay on leaning styles. Learning styles are an interesting set of constructs that are useful to consider when you are trying to change the world or just and an organization. We will also include Steve Tendon’s column discussing the TameFlow methodology and his great new book, Hyper-Productive Knowledge Work Performance. Anchoring the cast will be Gene Hughson returning with an entry from his Form Follows Function column.